American Football "Kicking Coach" training for Kicking, Punting, and Long Snapping Specialists who want to become their own coach! Kicking, Punting, and Long Snapping Specialists can learn to be their own kicking coach at the most comprehensive kicking camps, punting camps and long snapping camps in American Football. 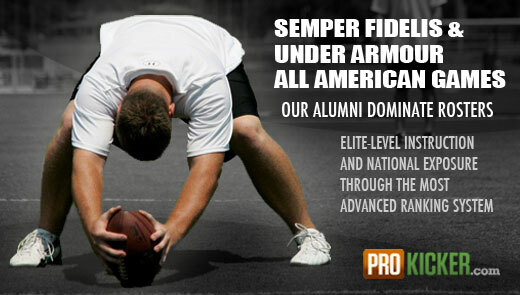 Prokicker.com kicking camps provide professional instruction and training opportunities in more locations, in more states, than any other program of its kind. 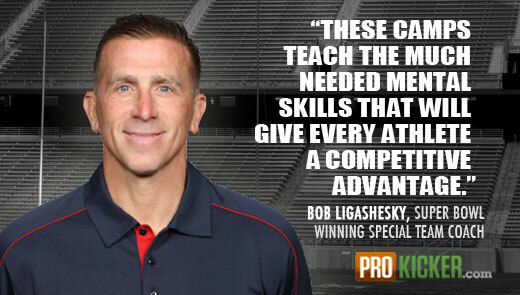 The Two-day kicking academy, One-day kicking camps, or Skill Charting Only camps for kickers, punters, and long snappers are available now for athletes to learn to become their own kicking coach! 2018 Summer Kicking Camps, Punting Camps, and Long Snapping Camps are Now Posted! Kicking Coach provides individualized Kicking, Punting, and Long Snapping Instruction enabling each athlete to develop their own "natural style" and learn to become their own Kicking Coach or Long Snapping Coach. Kicking, Punting and Long Snapping Specialists can earn a spot on the Ray Guy Prokicker.com National Football Kicking, Punting, and Long Snapping Rankings. Kicking Coach provides a National Talent Search Listing for College Recruitment and Scholarship Opportunities for Kickers, Punters and Long Snappers who desire to play football on the collegiate level. 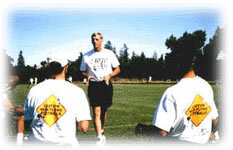 Visit our Ray Guy Academy camps page for more details about our Kicking Camps, Punting Camps, and Long Snapping Camps. 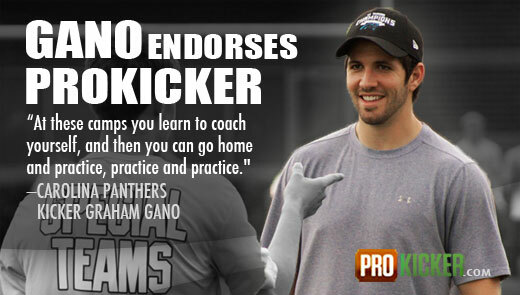 Kicking Coach will teach Kickers, Punters, and Long Snappers to learn to become their own Coach! 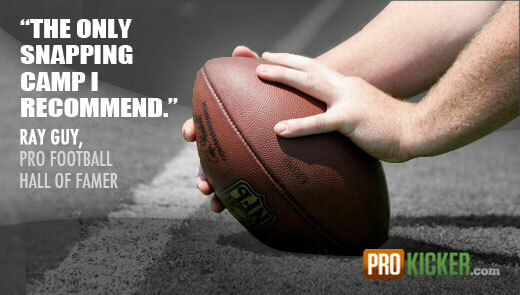 Call us at (606) 922-8482 or e-mail jana@prokicker.com for more details about working with a Professional Kicking Coach, Punting Coach, or Long Snapping Coach! Business Hours: 9:00 - 5:00 EST Monday - Friday. Committed to providing athletes the best learning opportunities available, Ray Guy and Rick Sang of American Football Specialists bring athletes the most comprehensive kicking program of its kind. They combine proven techniques with innovative learning concepts to help athletes get immediate results. Their unique "step-by-step" teaching method enables athletes to learn quickly and remember the sound training and biomechanical principles that will most effectively guide them throughout their career. And that's not all! Through their "positive" teaching approach, athletes will improve their mental discipline as well as their physical skills. Athletes learn visualization and goal-setting methods designed to build confidence and self-esteem not only in athletics but also in every day life. Former Lou Groza Award Winner and Walter Camp All-American, Jonathan Ruffin explains the types of kicking tees kickers should use when kicking field goals, extra points, and kickoffs. 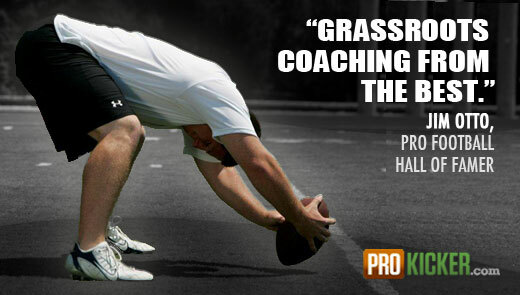 Athletes can become their own kicking and punting coach! In Football Kicking and Punting, Hall of Famer and NFL 75th Anniversary Team member Ray Guy joins veteran kicking coach and Prokicker.com Director Rick Sang to provide aspiring kickers and punters with expert instruction found nowhere else. We sell everything from Kicking and Punting books and videos to square toe kicking shoes and accessories. To see our full selection of products, visit our online store.